There’s a thriving market for all kinds of fake documentation these days. 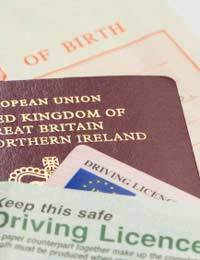 Whilst much of it covers the kind of official documents that can let someone live and work in the country, there’s also a demand for items like fake driving licences, university degrees and also provenances for antique items. In fact, if you know the right people and have the money to spend, you can obtain almost any kind of fake documentation. It’s all underground, by its very nature, but still very busy as illegal immigrants from outside the EU attempt to obtain documentation that will enable them to find better, legitimate jobs in this country – and then, of course, there are criminals who want the fakes for other reasons. There’s a massive variation in the quality of fake documents. You can buy a passport from an EU country for a little over £500, paying cash, of course, and providing the photo, and have it in the name you want, but it won’t necessarily be a good one. The more you pay, the better the quality, and it can cost up to £7,000 for the very best. The very best are the stolen passports, and there are plenty of those floating around. Even when the passports have been stolen and registered on a database, they’re not always detected. However, there are also some very convincing fakes coming out of factories in Eastern Europe, mass-produced but exceptionally good, which were selling for £600 each in 2004. A full set of documentation, with birth certificate, National Insurance card – in short, everything – is naturally more expensive, but to those wanting to seem legitimate, it can be well worth the expense, allowing them to obtain better-paying jobs and better lives. Many go completely undetected. When it comes to fake degrees, those from British universities can be bought for as little as £30 online, and for more money can be backed up by further documentation, such as faked student records. It’s a lager problem than many think, with lying about degrees accounting for 21% of the falsehoods on CVs. There are instances of people having fake pay stubs in order to obtain loans or mortgages, too, although this is a decidedly tricky area, since it means the user really doesn’t have the means for repayment. For those looking for extra time off work, finding the right website means you can purchase a genuine-looking sick note for just £30. The faking of provenances for antiques of all kinds happens frequently with faked items, as a way to help fix an artificially high price on a counterfeit antique. Some are very good, others quickly discovered. Of course, using fake documentation is illegal, and the price someone could pay if discovered with a fake passport is ten years in jail – a hefty sentence, followed by deportation, without the chance to return to the country. It goes without saying that those supplying the passports (they work in gangs, and are often illegal immigrants themselves) can face much stiffer penalties than that. Fake provenances (and fake antiques) qualify as conspiracy to defraud and forgery and can also mean jail time, especially on high ticket items. A counterfeit university degree won’t land you in the same kind of trouble, but if it’s discovered, could lead to you being fired for misrepresentation, or not landing the job you’re seeking.